Were you ever called a blabbermouth as a kid? I admit to being called a blabbermouth a couple of times as I have a tendency to talk a lot. 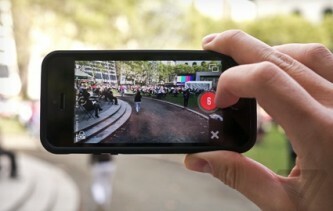 That may come in handy now with an increasingly popular video chat service called Blab. 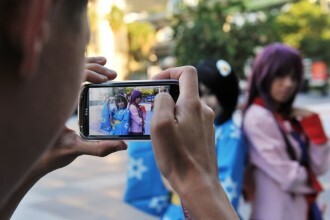 Blab is a live-streaming app which allows up to four people to chat simultaneously as an audience watches. Observers can leave comments, register likes, and even switch places with one of the four video chatters if invited by the host. First go to Blab.im, click on ‘Start a new blab’ and create a description for what you would like to talk about. You can select up to three tags to help people find your chat and decide if you want the chat to go live now or sometime in the future. You will then be provided with a link that you can share with others to invite them to your chat. When people click on the link they can then choose to ‘subscribe’ to the chat, which means they’ll get a notification once it starts. You can also record your chats by clicking on the record button that will appear in the top left of your Blab screen. Once you click the record button, you will be provided with an embed link which you can use to share your chat via email, your blog or various social media platforms. Accept people into the chat. People can request to join the chat but you must accept them before they can participate. Block off seats so others can’t join the chat. This is useful if you are conducting an interview and only want to include specific people. Ban people. Banned people will still be able to listen to your chat but they won’t be able to interact with you or any other participants. Mute yourself or others on the chat. Mute can be useful if there is a lot of background noise. Change the topic. The host can change the chat topic by clicking on the edit icon at the top right of the Blab screen. It can also be changed by entering “/topic” into the comments box followed by the new name for the chat. Conversations can go off on a tangent quite easily, so it’s important to keep the listeners up-to-date on the current topic. If you receive a link to a Blab or see one on social media, you can click on the link to join in or, if it hasn’t started yet, hit the subscribe button to get a notification when the chat goes live. You can also go to Blab.im and search for chats that are currently taking place or are scheduled for a future date. Just click on one or more tags on the left side of the screen to see all the live and scheduled chats in those categories. 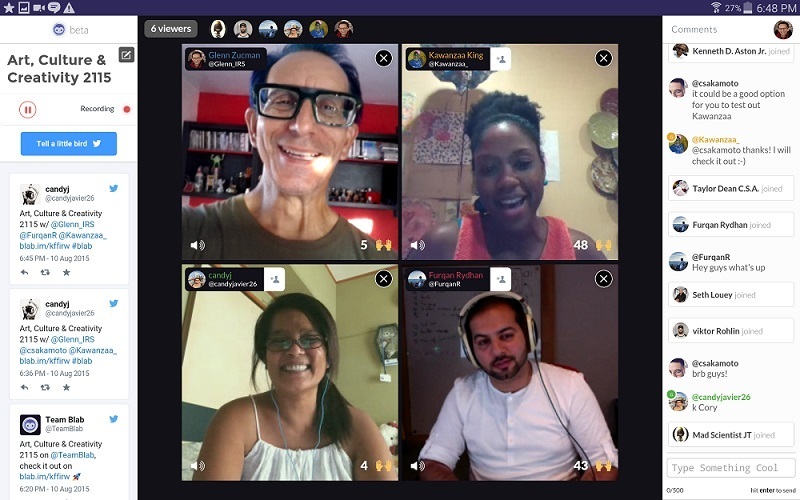 In many ways, Blab is easier to use than Google Hangouts and is a lot more fun! It can be used as a way for people to get together and debate current topics and events, have short meetings with remote workers, or to collaborate on a group project, and I have already seen people using it for live weekly talk shows. Want to see Blab in action? Check out the VZWBuzz Recap, which took place on Wednesday, September 3.